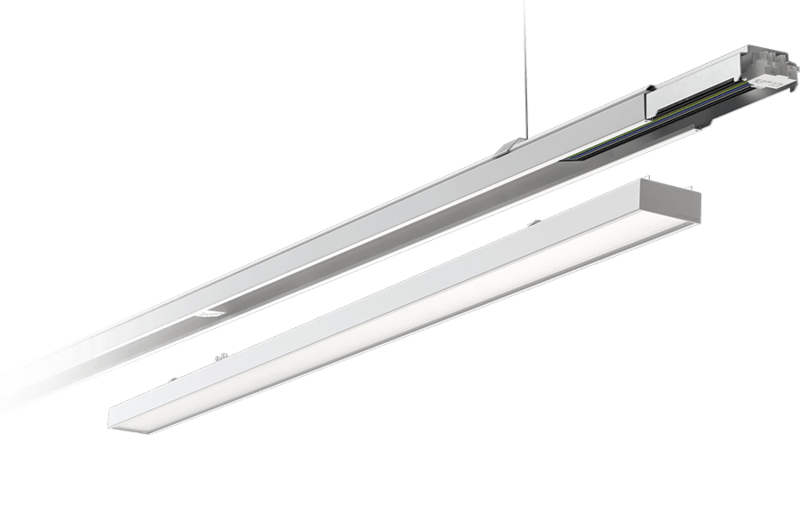 LUGTRACK EVO is a quick-assembly line designed for the lighting of large commercial interiors such as supermarkets, production facilities and warehouses - wherever the risk of potential changes to the interior design is high. 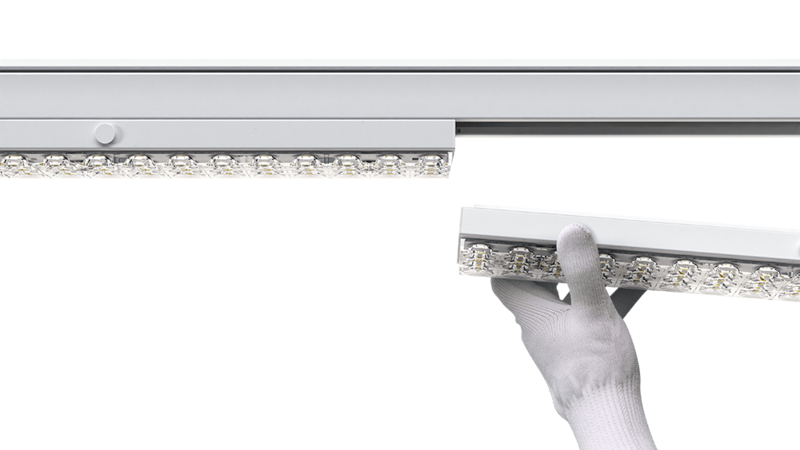 Any need for rearrangement does not involve the replacement of the entire lighting system, but only with the replacement of a single module or supplementing the system with new light modules. The standard support rail is the backbone of the luminaire that guarantees full flexibility, regardless of the changing situation. Directed light illuminates aisles, shelves and other essential elements of the environment exactly the way you need them to. 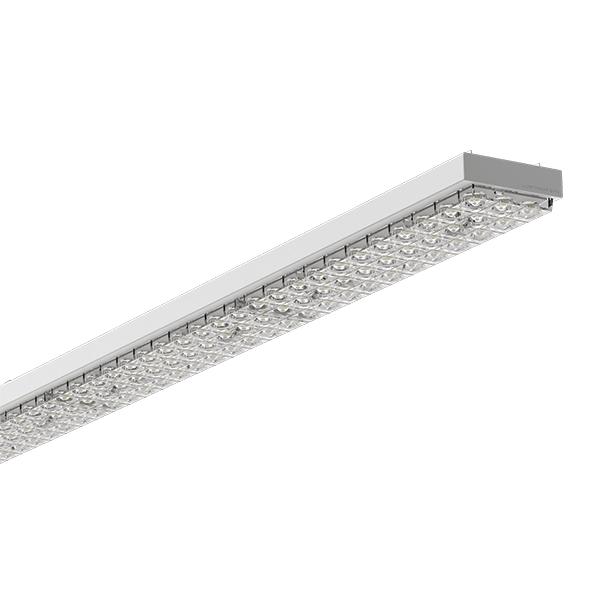 Exchangeable modules: luminous (with opal diffuser, micro-prismatic or injected lenses), with 3-phase track and empty - allow for achieveing of the desired effect and modifying the lighting setup according to the changing needs. 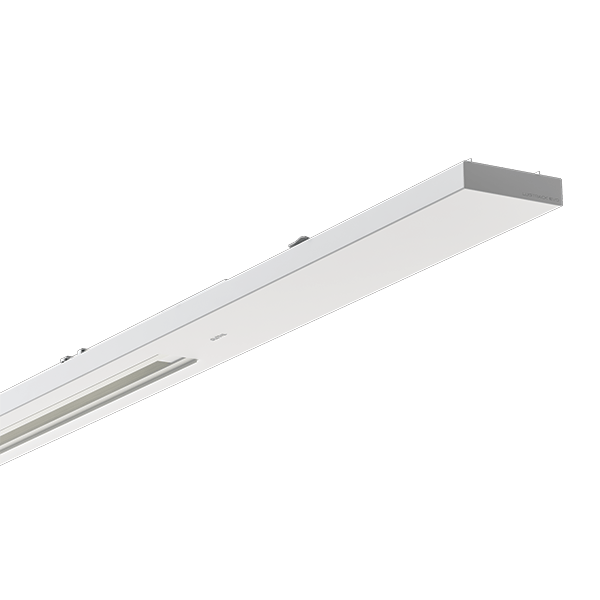 The module with the 3-phase track allows the introduction of an additional targeted light source that you can use to highlight the most important elements of the store space. Tool-free, "click" assembly to the supporting beam enables single-man, safe and quick assembly, which translates into high work efficiency. The flexible LUGTRACK EVO system ensures uninterrupted lighting operation and visual coherence even with frequent changes in the arrangement of space. Ease of use and installation is ensured by through wiring - 5 and 7 pole. In the 5-pole version, three phases are available, thanks to which we can divide the modules into separately switched sections, which allows you to control the lighting scenes in the interior. Additionally the 7-pole version allows for lighting control thanks to 2 additional data lines. 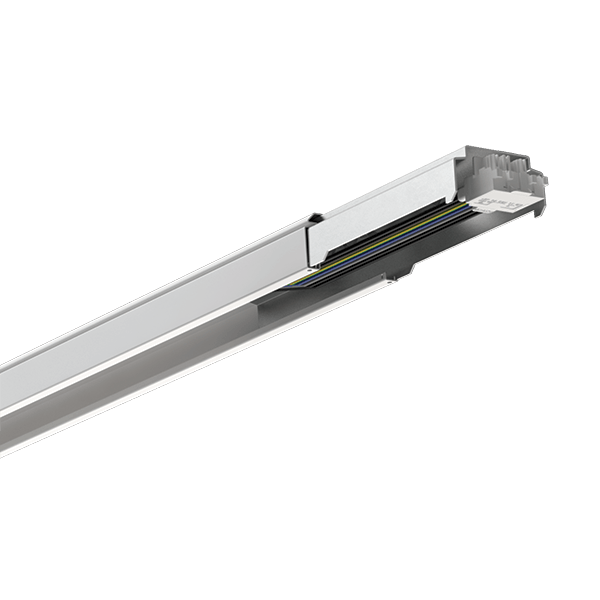 is now much easier thanks to the tool-free installation of lighting modules in the supporting rail. You can make all modifications by simply removing the modules and installing them in the desired place with the "click-in" action.